Love Yourself Healthy And Happy! Are you dealing with chronic pain, a lingering illness, or a disease diagnosis? Do you have health problems or recurring health conditions doctors can’t fix or figure out? 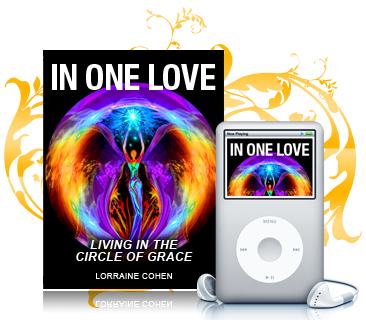 Are you ready to feel deeper love that can amplify wellness, inner peace and happiness? Love decreases inflammation, improves your immune system, and can be a potent pain reliever. Love decreases anxiety, stress and depression, which can reduce the signs and symptoms of heart disease. What continually blocks Divine Love’s healing power to get well and stay healthy? Lack of deep self-love and self-worth! 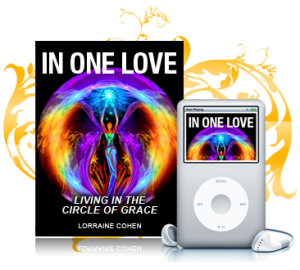 These four healing audios will help you connect with energies of Divine Love to create greater wellness and vitality! Live in Brilliance – Sometimes we develop health problems and stay sick because we are afraid to embrace our brilliance. 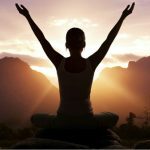 This 29 minute meditation layered with powerful healing affirmations will help you connect to your Divine Life Vision and let go of what is holding you back from living it so you don’t need to stay sick to avoid it anymore! This audio invites you step into the next chapter of your life with health and vibrancy! You Are Enough! – Mental thought patterns that cause the most disease in the body are criticism, anger, resentment and guilt! ~Louise Hay. This 16 minute meditation will assist you to see yourself as worthy, as deserving, as intelligent, clear, motivated and as your true self. When you do know that you are lovable and loved you can let go of patterns that drain your energy, keep you stressed, and susceptible to disease. Drenched in Love – Two essential keys that supports vibrant health is Love and the relationship with God. This 21 1/2 minutes meditation will help you to allow more Divine Love into your heart and into your life so that your body doesn’t need to hold onto thoughts and beliefs that can create illness. How much Love can your heart hold? Use this powerful audio to find out so that your health flourishes. For international payments, Paypal is recommended. Thank you for inviting me to be on this journey with you! The information provided is not offered as medical advice and should not be considered medical advice. Nothing contained on this page is intended to be used for medical diagnosis or treatment, and is not intended to replace a one-on-one relationship with a qualified health care professional. Always seek the advice of a physician or other qualified health care professional regarding any mental or physical health condition.